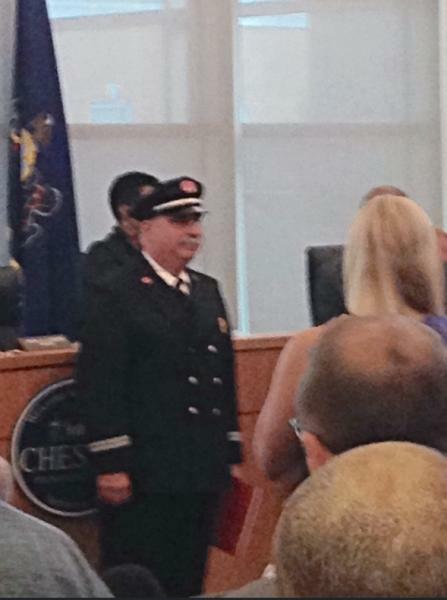 We would like to congratulate our Past Chief Joe (Ike) Iacono for successfully passing the Battalion Chief's test for the City of Chester Fire Department. Ike was officially sworn into office on Tuesday, October 15, 2014. Joe (Ike) Iacono sworn into office at City Hall.